Good job! 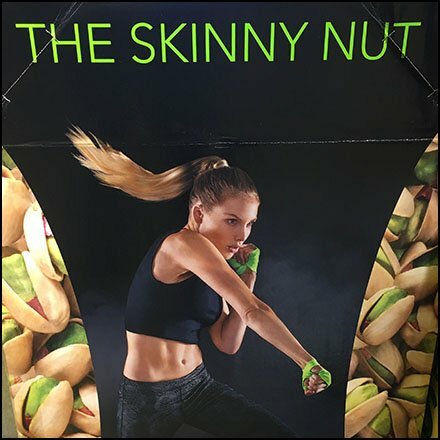 This Lifestyle Persona Pistachio Promotional Display sells the lifestyle not the nut. And you need not be the persona, just imagine you are, or hope to be and Wonderful Pistachios are the obvious best choice for you. A Bulk Bin full is provided for your needs. I have always admired the marketing of the American Pistachio Growers Association. But this Lifestyle Persona Pistachio Promotional Display is the best of the best. This most excellent Lifestyle Persona Pistachio Promotional Display seen at Weis.